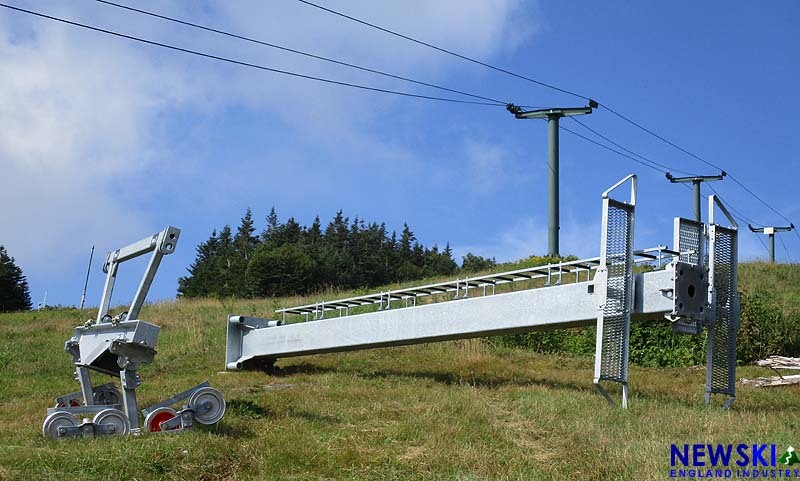 Lift, lodge, snowmaking, and trail work projects are in progress. 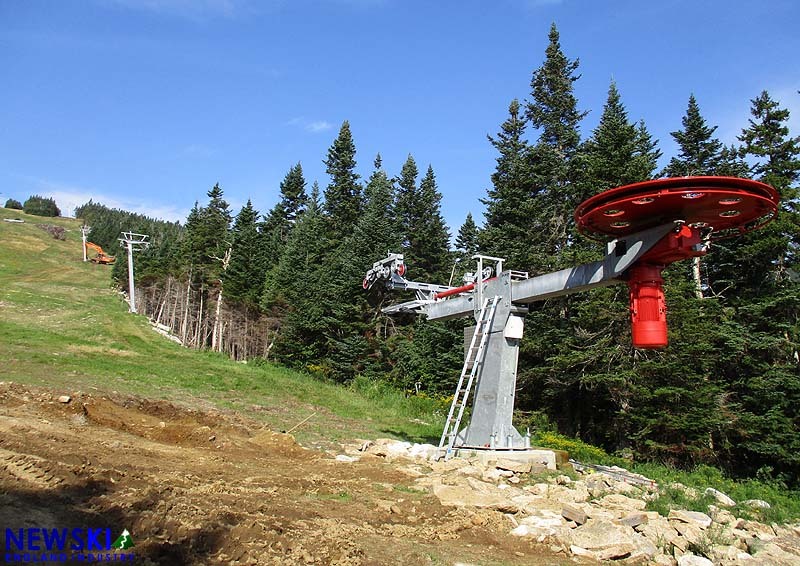 Fresh off the announcement that it will be hosting the United States slalom, giant slalom and parallel slalom championships this winter, improvement projects are accelerating across the mountain at Waterville Valley. 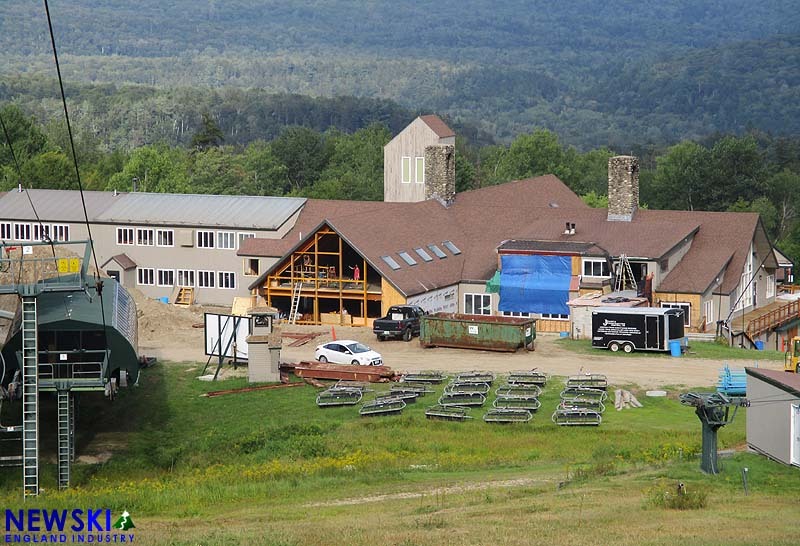 Phase two of base lodge construction is underway, as the slope side decks and windows have been removed. The main entrance was rebuilt and expanded last year. 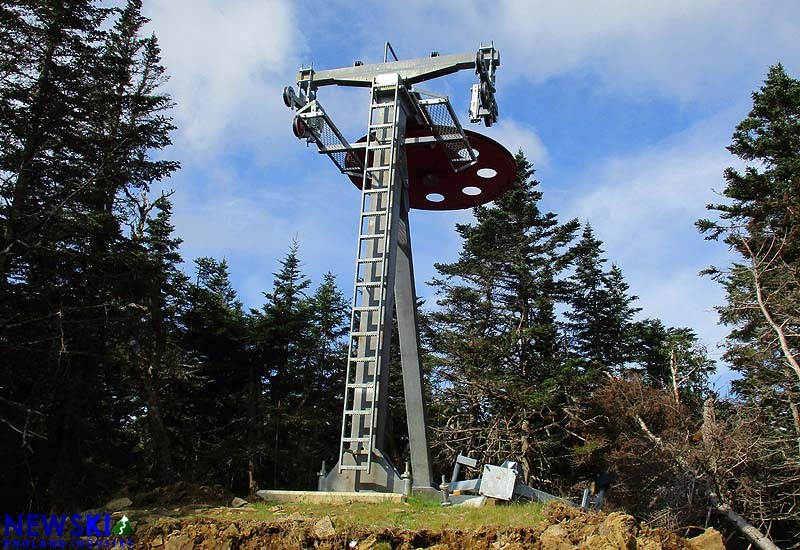 Snowmaking expansion continues, as hundreds of new Sufag tower snow guns are in place across the mountain, while more have been staged for continued installation. Thousands of feet of snowmaking pipe has been installed on Green Peak thus far this year. 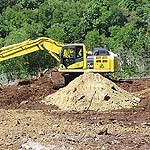 Excavation continues on Green Peak, as the expert Wayne Wong Way is now three quarters complete. 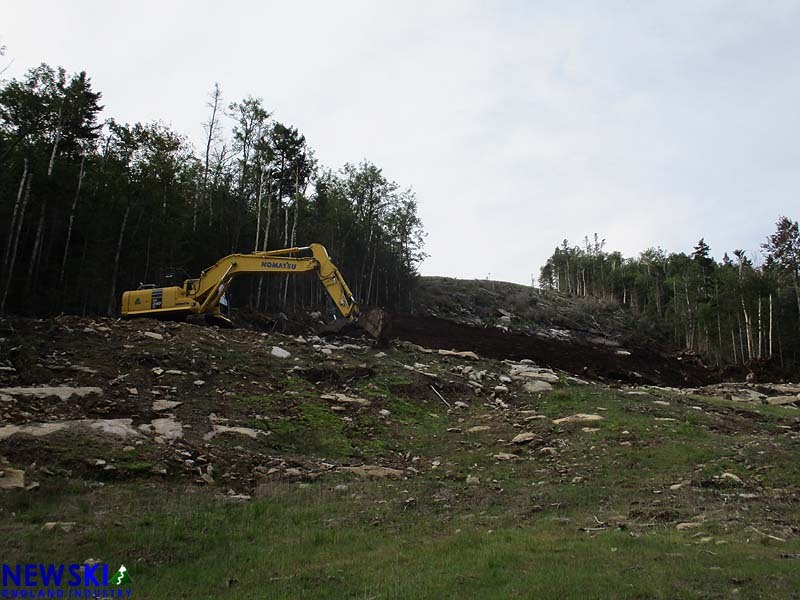 Meanwhile, with the government imposed Bicknell's Thrush restriction elapsing on August 15, installation of the High Country T-Bar has resumed. All but one tower is now standing, along with both terminals. The new LST lift will provide a faster ride than the outgoing High Country Double, while also being less susceptible to wind.